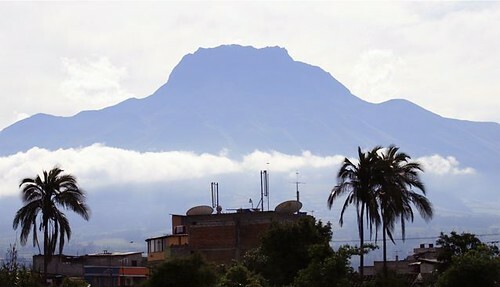 Tag Archive | "The Telegraph"
Ecuador may be a great place to be if there is a global economic collapse. A theme in our messages is that there are four ways to beat inflation… investing in commodities… real estate… stocks and your own small business. 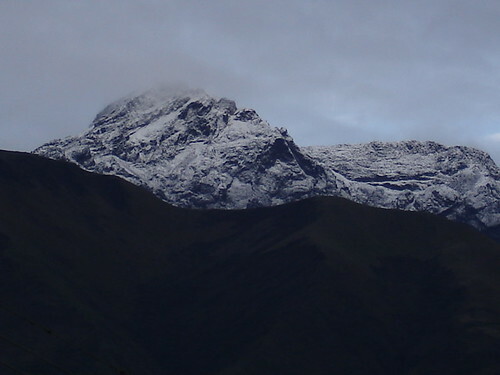 This is one reason I like Ecuador real estate. First it is a good value now. Second it is a great place to be any time and third it is an especially good place to be during a global crisis. The people are by nature, friendly and easy going. 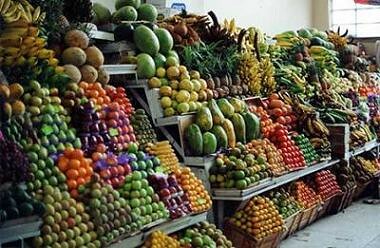 There is plenty of food and never severe temperature problems. 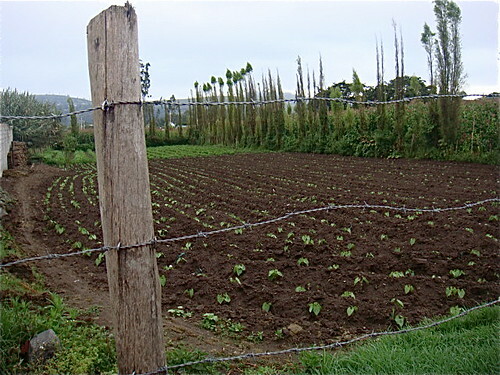 Ecuador is a small agricultural country and as such, a huge national distribution system is not required. The food is fresher. Preservatives are not as required. 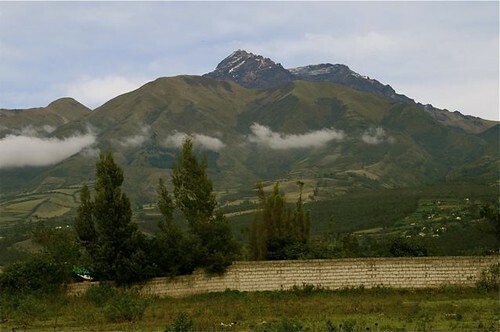 Ecuador’s land for producing food is rich. Food is produced in every nook and cranny. and available in markets and every village. 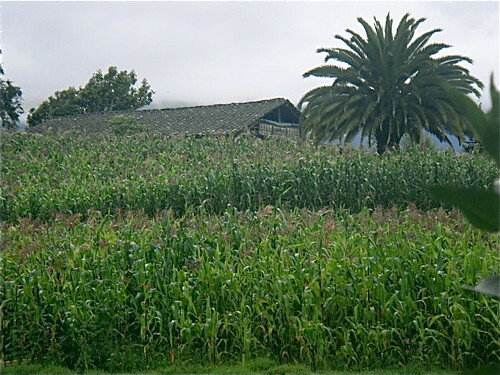 Corn, beans and potatoes are the basics in the Andes. This message is about risk and the chances of economic collapse. Every investment adviser I work with is nervous… due to the massive debt that has been created in the last recession… without a lot to show for the spending. For example… an article in the telegraph entitled “Société Générale tells clients how to prepare for potential ‘global collapse” provides a big warning. Société Générale is one of the oldest banks in France and is one of the main European financial services companies and is active all over the world. Société Générale has advised clients to be ready for a possible “global economic collapse” over the next two years, mapping a strategy of defensive investments to avoid wealth destruction. Explosion of debt: Japan’s public debt could reach as much as 270pc of GDP in the next two years. In a report entitled “Worst-case debt scenario”, the bank’s asset team said state rescue packages over the last year have merely transferred private liabilities onto sagging sovereign shoulders, creating a fresh set of problems. Overall debt is still far too high in almost all rich economies as a share of GDP (350pc in the US), whether public or private. It must be reduced by the hard slog of “deleveraging”, for years. Under the French bank’s “Bear Case” scenario (the gloomiest of three possible outcomes), the dollar would slide further and global equities would retest the March lows. Property prices would tumble again. 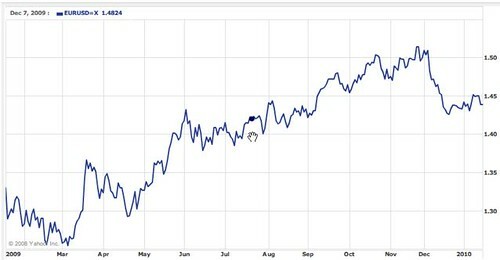 Oil would fall back to $50 in 2010. Governments have already shot their fiscal bolts. Even without fresh spending, public debt would explode within two years to 105pc of GDP in the UK, 125pc in the US and the eurozone, and 270pc in Japan. Worldwide state debt would reach $45 trillion, up two-and-a-half times in a decade. The underlying debt burden is greater than it was after the Second World War, when nominal levels looked similar. Ageing populations will make it harder to erode debt through growth. “High public debt looks entirely unsustainable in the long run. We have almost reached a point of no return for government debt,” it said. If so, gold would go “up, and up, and up” as the only safe haven from fiat paper money. SocGen advises bears to sell the dollar and to “short” cyclical equities such as technology, auto, and travel to avoid being caught in the “inherent deflationary spiral”. Emerging markets would not be spared. Paradoxically, they are more leveraged to the US growth than Wall Street itself. Farm commodities would hold up well, led by sugar. There are several ways for governments to solve debt problems. Even during the Great Depression, federal spending was never more than 11% of GDP. The last time the nation’s debt was this big compared with gross domestic product — 70.4% of GDP — was immediately following World War II. How did the Greatest Generation pare it down? It didn’t. It grew the economy faster than the debt, pushing down the debt-to-GDP ratio and making debt payments easier to manage. But that generation also did some things that U.S. citizens and politicians don’t seem willing to do today. It paid higher taxes, and it had a smaller government — and, at least until the 1980s, it kept annual budget deficits small. The citizens of the U.S. owe $12.3 trillion in Treasury debt to banks, individuals and foreigners. That’s about $40,000 per person living in the U.S., and it’s not counting the amount our states owe — or, for that matter, what we owe to our individual creditors. Although the U.S. is currently handling its debt comfortably and pays remarkably low interest rates on it, there’s mounting recognition that sooner or later, we must move the debt-to-GDP ratio in the other direction. And that will involve hard decisions on taxes, spending and sacrifice — something the World War II generation knew much about. Even during the Great Depression, federal spending was never more than 11% of GDP, according to the Economic Report to the President, an annual government publication by the Council of Economic Advisers. By 1942, spending climbed to $35 billion, or the inflation-adjusted equivalent of $465 billion. Annual spending peaked at $92.7 billion in 1945, or $1.1 trillion in today’s dollars. By 1945, the U.S. debt was 121.7% of GDP, vs. an estimated 70% today, according to the Economic Report to the President. How did the government repay the war debt? It didn’t, really. Much of it was rolled over when it matured, but new borrowing was limited. “During the early postwar years, the federal government ran either small surpluses or small deficits,” says Anthony O’Brien, professor of economics at Lehigh University. The federal debt was $260.1 billion in 1945 and $274.4 billion 10 years later in 1955. But the economy grew faster than the deficit did. GDP was $221.4 billion in 1945, and $394.6 billion in 1955 — despite high tax rates, which persisted. Because of economic growth, the ratio of debt to GDP fell nearly every year from 1947 to 1981. As the nation’s debt became a smaller part of GDP, the debt became much less burdensome, much as a fixed mortgage payment becomes more affordable as your income grows. What’s different between then and now? Plenty. World War II was a finite event, and it’s pretty easy to stop war spending and bring the budget back into balance — or close to it — when the war is over. “Government spending went down by a dramatic amount,” after WWII, says Steven Hess, lead U.S. debt analyst for Moody’s. And government was far more limited: In 1945, there was no Department of Education, no Environmental Protection Agency, no National Security Agency, for that matter. •Recession. When the economy falters, so does the government’s income — that is to say, the taxes it collects from corporations and individuals. The government collected $2.5 trillion in 2008, and it collected $2.1 trillion in 2009, a $400 billion shortfall. •Spending. Federal spending has jumped from $1.8 trillion in 2008 to an estimated $3.1 trillion in 2009. Unlike World War II spending, however, there’s no quick end in sight to current spending. Much of the growth in spending since the end of the war came from entitlement programs, such as Social Security, and military spending. In 1963, for example, Social Security and Medicare were 14.8% of all federal tax receipts, and defense was 50.1%. In 2009, Social Security and Medicare are an estimated 40% of federal tax receipts, and defense is 25.7%. •Taxes. The maximum federal income tax rate in 2009 is 35%, down from 39.6%in 2000. Lower taxes stimulate the economy, and raising taxes in a recession is a nearly sure-fire way of deepening the recession. Nevertheless, tax cuts add to the deficit if the government doesn’t rein in spending. “You can’t raise spending and cut taxes,” and get a balanced budget, says David Wyss, chief economist for Standard & Poor’s. Estimates of how much the tax cuts have added to the deficit range from about $1.8 trillion to $1.35 trillion. •War. Fighting a war is one of the most reliable ways to create a big debt. The British, for example, finished repaying their World War II debt to the U.S. in 2007. Germany will finish repaying its World War I reparations in 2010. Every Allied nation except Finland defaulted on its World War I debt to the U.S. The article goes on to point out that there are three ways to solve the problem… Raise taxes, cut spending, or grow the economy fast enough — and grow the deficit slowly enough — that debt becomes a smaller portion of GDP. Currently, the nation’s debt-to-GDP ratio is in line with most other developed countries and well below Japan’s. This does not mean the US debt is good. This means that the global debt is bad! And the US debt is headed higher towards the 100%, level where it is difficult to grow out of. The way to cut the deficit is a combination of tax increases and budget cuts. Yet because neither of these options are politically popular…. expect inflation… the loss of the purchasing power… around the world. There is a warning signal in the markets now… the rising US dollar. The chart below shows how the euro recovered after the past panic shift to the greenback and how the dollar is now rising again. My latest Multi Currency Lesson explains more about why there is extra risk now. 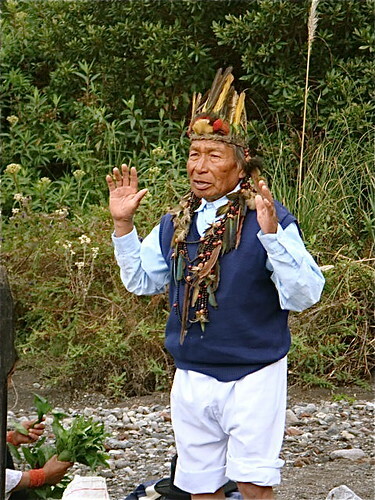 Learn how to obtain this lesson here. There is little we can do about the global economy. That fate is beyond our control. Yet there is a lot we can do for ourselves. The common refrain among good investment managers is “do not waste the recession”. These economic worries and concerns, pressures and tensions in countries everywhere are problems and problems create opportunity. 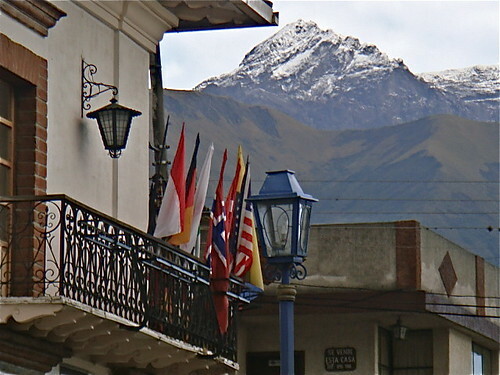 Whether you live in Ecuador… full time or part… you can gain extra opportunity investing in commodities… real estate… stocks and your own small business. Join Merri and me this February at a seminar or tour and share ways to invest, do business and live that protect wealth as they bring joy, satisfaction and better health. Join us with our investment advisors and tax attorney February 11-14 at Quantum Wealth -International Investing & Business Made EZ, Mt. Dora, Fl. 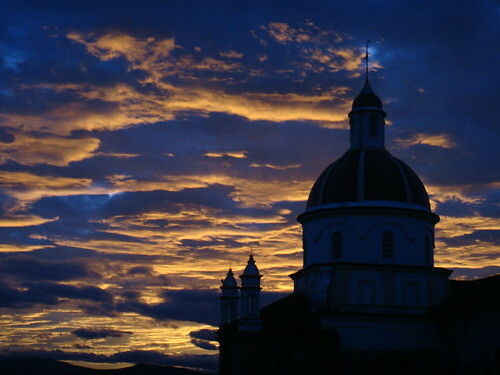 There are five days left to gain the largest savings on our Ecuador tours.